Do you love Wolverhampton? Are you proud of your city? We are looking for unusual, interesting and innovative ideas to make Wolverhampton even better - submit your project by 19th March to take part in our Spring funding round. Crowdfund Wolves is a platform that connects people, communities and businesses to the financial and practical support they need to make their idea a reality. Anyone can back the great ideas on this site and play their part in bringing them to life. Have a look through the fantastic projects and see how you can help them come to life. Crowdfund Wolves wants to unearth the local talent, natural innovation and creativity of the people of Wolverhampton. Using Crowdfund Wolves we can all play our part to enhance the city for future generations, get the support we need and raise necessary funds that will bring ideas to life. 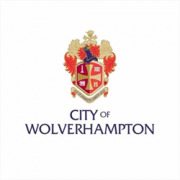 Crowdfund Wolves is a partnership between City of Wolverhampton Council and Wolverhampton Voluntary Sector Council. Why is the City of Wolverhampton on Spacehive? Our vision is to enable the people of the city to shape Wolverhampton and their local communities for the future, making it an even better place. We want to tap into the passion and skills of the people of Wolverhampton and support their ideas to help the city reach its full potential. We have a history of pulling together to make things happen. 150 years ago, the citizens of Wolverhampton ‘crowdfunded’ the statue of Prince Albert – the much loved ‘man on the horse’ which was unveiled by Queen Victoria in her first public appearance following the death of Prince Albert. We are now partnering with Spacehive and Wolverhampton Voluntary Sector Council to make Crowdfund Wolves the place to connect your ideas with the financial and practical resources to make them happen. The costs and necessary permissions on your page will be verified by independent verifiers, Locality, to enable you to begin campaigning shortly afterwards. If you have any questions about how to take part in this funding round, email the Crowdfund Wolves team at sam.axtell2@wolverhampton.gov.uk and/ or the Spacehive team at info@spacehive.com. This project aims to bring together people from different ethnic backgrounds. The project's idea is to meet and learn together, and to also remove the stigma of being an immigrant (which often carries a fear of refugees). Immigrants and refugees often fear being stereo typed and labelled which leads to their isolation. This project can help fix this issue as we bring people out of the house, to meet new friends have discussions, share a cup of tea and biscuits or just a laugh. Lotus Sanctuary is a community interest company with the pure and simple intention of housing and empowering vulnerable women suffering a range of complex issues; from rough sleepers to domestic violence victims, sexually exploited women and those seeking to get free from drug and alcohol addictions. We equip our residents with the skills that are vital to leading successful, independent lives. Our houses are small with no more than four residents per property in order to avoid a “hostel” like environment, to ensure individualised support and to aid in the resident’s path to independent living. We currently have three houses in Wolverhampton, giving us the capacity to house eight women. We are raising funds to develop and expand our on going support for our residents. We need the money to continue running our weekly yoga classes, start an art class and support group. We are looking to expand our services to give our resident the best chance at recovery and success. Much Love. Less waste, less cost, less effect on the earth... what is there not to love? We plan to tackle the effect of period poverty by educating and supporting those on lowest incomes to make the change to reusable sanitary products, with an aim to increase attendance in schools and encourage more people through the doors of community buildings to take part in our education sessions. Our pilot session is due to be in a launched in a community centre in the WV10 postcode and aims to encourage 25 local people through the doors. Why? The cost of single use pads over 10 years could be as much as £600 or alternatively £10 for 1 menstrual cup... NO BRAINER! Imagine if we can help those on lower incomes to save money each month just by swapping a sanitary item! We plan to work in and advertise free products in community buildings in: The Scotlands and Bushbury, Low HIll, Fallings Park, Heath Town, Blakenhall, Bilston, St Peters, Ettingshall and schools which fall under these catchment areas. Art Exhibition-Light House Media Centre: history of bread from the UK, through Europe to the Middle East which is a 14-000, year period of humans sharing knowledge of the land. Local Artists and children in the fair- trade movement of Wolverhampton. Out- reach groups of volunteers sharing with the public bread donated by local bakeries while asking people how they IMAGINE the future of the UK? The volunteers will direct the public to the art exhibition and coffee mornings, places of welcome, Mosque, where small booklets of poem/art about bread can be collected.